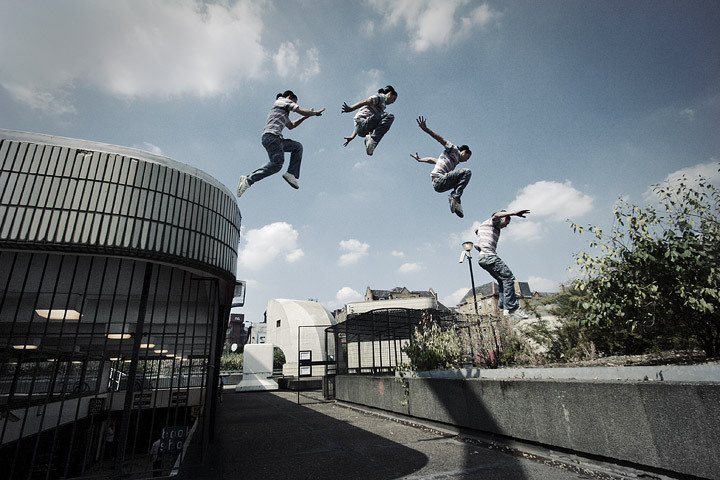 The World Freerunning Parkour Federation, or WFPF, explains that parkour is moving from point to point regardless of what is in your path. The website Parkourpedia details the origins of Parkour to the mid-20th century. The elder Belle, after being separated from his son for several years and living in France, were ultimately reunited. The younger Belle asked about his father’s experiences. David found his dad’s experiences fascinating, as his grandfather, who raised him, taught him the principles of Hebertism. David saw many similarities between what his father was telling him in Vietnam and the Hebertism he was learning from his grandfather. Parkourpedia delves into the misconceptions and misinformation about parkour. It is important to note that as we go forward that parkour and freerunning are not the same, nor are these terms interchangeable. For example, those who do parkour are called traceurs. Those who practice freerunning are simply called freerunners. Many more details are available here. That’s right, you cannot “perform” a parkour show. If you are ever out and about and you see a parkour being done just for entertainment purposes, then it is not parkour. This is because it is not following parkour’s principles, according to those who follow them closely. 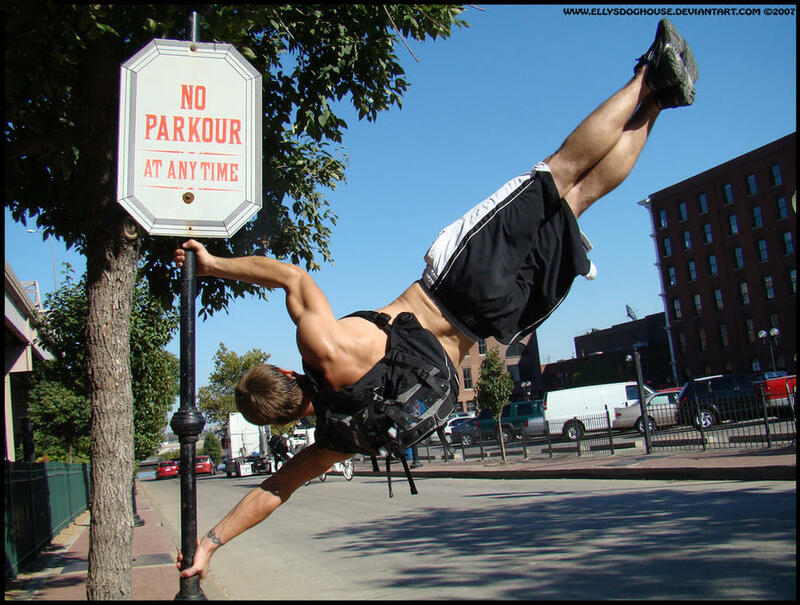 You are allowed to take the movement for entertainment, but you cannot call it parkour. There is a great deal of confusion and misconception when people encounter someone who says they are a traceur performing spins and flips. If they are performing these things, it does not necessarily mean they are a traceur. This suggests merely that they do other training along with parkour, too. The development occurred in both rural parts of France as well as its cities. Traversing natural elements are just as tough as artificial, urban settings, making parkour appealing to those who live in both rural and urban areas alike. American Parkour shares some anecdotes on people who make parkour a real passion in their everyday lives. First is Cody Robinson, who discovered his love for Parkour in 2006 at Auburn University. Robinson, a stuntman, recalls that he first discovered parkour during his time at Auburn University in Alabama while watching the “Russian Climbing” video by Oleg Vorslav on Yahoo. He was able to convince his roommates to try out parkour. Robinson then recalls that a fellow traceur, Max, visited Auburn and discussed with him about trying to get into stunt work. He thought it was unbelievable, and not the good kind of unbelievable. American Parkour points out some of the benefits of learning and mastering parkour. Are There Parkour Gyms And Training Centers? While there are gyms, there are not very easy to locate. Look up the parkour gyms that might be in your area. The American Parkour Academy is based in Washington, DC. They also have affiliate gyms located in Minnesota, Florida and Hawaii. Their organization can likely what to do from there. It is ok if you cannot find a gym. 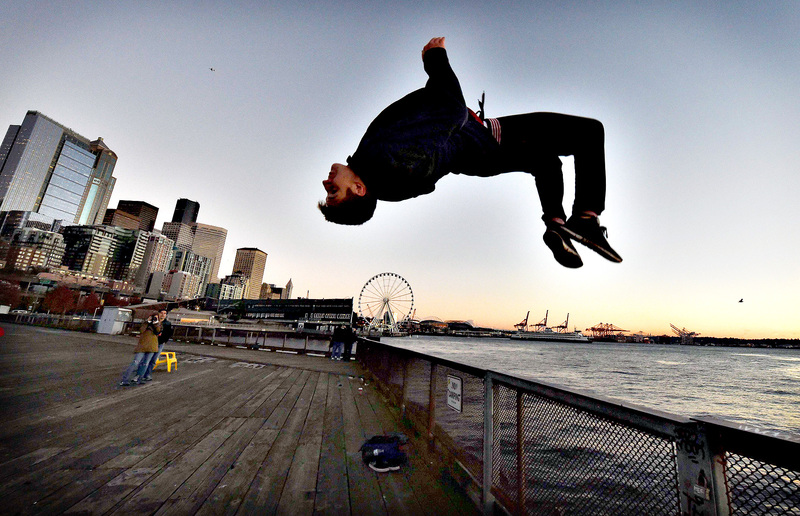 Parkour was developed in the outdoors and will continue to be done outdoors. Most traceurs prefer to be outside when perfecting their craft. This goes for the woods, an urban area, or a simple playground. Check out Rafe Kelley’s Youtube channel for more insight. Another thing you might be able to do is go to or call your local gymnastics facility and explain to them what you want to do. They might let you practice parkour at their facility. Everyone goes at their own pace. There’s no need to worry about keeping up with others or destroying yourself as you go. Check out American Parkour’s guide on what to wear as well as what to bring when you first start out. A jam is not 2-3 hours of running like you might expect in cross country or football practice, but rather a more relaxed situation. Jams typically take place at hotspots. These hotspots have a number of obstacles that can make training very challenging, but also very fun. During the course of a jam, people train at a hotspot for a given time then move onto another one. Another type of jam is known as a conditioning session, which has a large emphasis on training. This is typically planned out with a number of people. It is a lot of fun to train with fellow traceurs, regardless of your level! There is usually a workout planned, and people come together to train with others. You can get hurt in the four major sports, you can get hurt in soccer and yes you can get hurt in parkour. And like in baseball, there’s no crying in parkour. You will likely get some bruises, some cuts as well as some scrapes as you start out, but they will be hardly noticeable during the course of your jam. That being said, it’s prudent to keep a first-aid kit on hand for any and all types of injuries during your jam. As you become more advanced, the risk of danger increases. Parkour is a fun activity with risks just like any other physical activity. There are a wide variety of resources at your fingertips to help you get started. Previous ArticleDoes Plexus Slim Work?